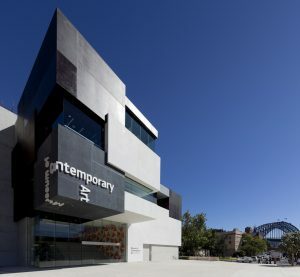 The CIMAM – International Committee for Museums and Collections of Modern Art 2019 Annual Conference will be held in Sydney, Australia on 15–17 November, hosted by the Museum of Contemporary Art Australia. The Post-Conference Tour will be to Brisbane and will include guided tours by Aboriginal custodians on the country on 18–20 November 2019. The 21st Century Contemporary Art Museum: Is Context Everything? Museums emerge and exist in changing contexts of history, culture, locality and technology, constantly modifying their operations accordingly. The accelerating rates of change in technology and modes of communication, environmental crisis and massive migration that mark the 21st century, along with the demand upon museums to be not only socially responsive and engaged but effective cultural and economic agents within their locations, arguably intensifies the museum’s necessary sensitivity to context and a culturally diverse demographic. The CIMAM 2019 Annual Conference will address the evolving relationship between core museological practices and values (related to artists, collections, custodianship, scholarship, display, education and the public) and the necessary responsiveness of museums to context in their drive to remain relevant, innovative and accessible. The presentations and discussions will be inflected by the context of Sydney, acknowledging conflicted histories of cultural ownership – whose stories are these? – indigeneity and place; that define the cultural landscape of Australia – looking out from the east coast to the Asia Pacific and beyond in its reflection upon questions and topics urgent to museums globally.